We offer free electric car charge points on the farm for our guests to use. We have two electric car charge points here on the farm to allow our guests and visitors to charge their electric cars for free from the power generated by our 1008 solar panels. We feel that it is important to do all we can to be energy efficient, so these charge points, along with our electric buggy and the rest of the site, are now powered by our solar panels. 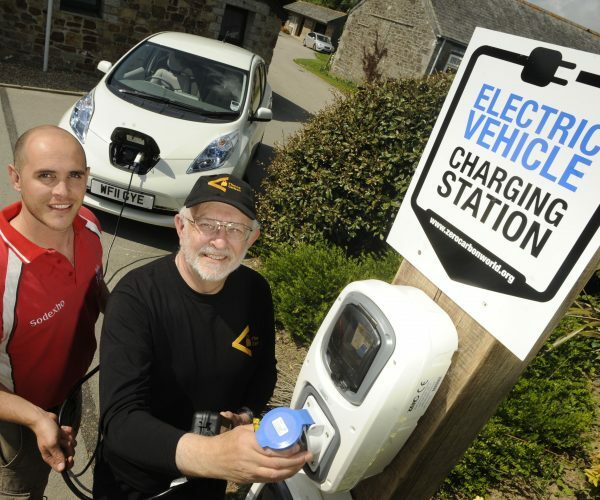 The charge points have been supplied by environmental charity Zero Carbon World along with ourselves and can be found on the ZeroNet, ZapMap and Opencharegmap networks.